Who art thou, o aster? 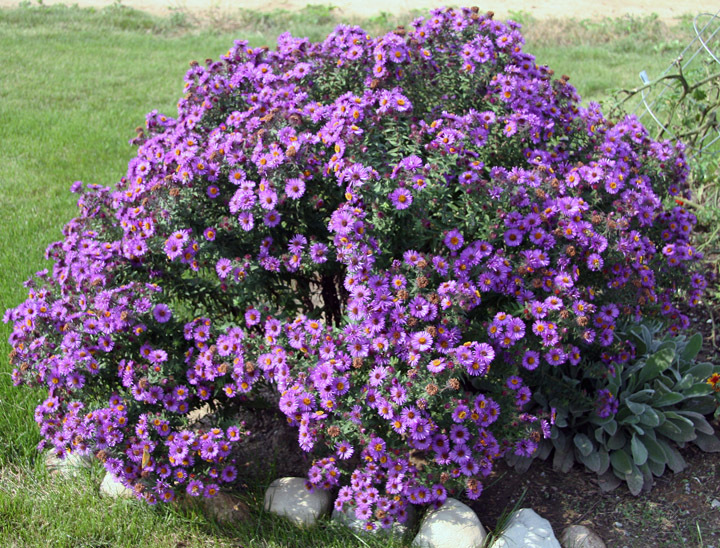 Back in 2003 Neil Diboll of Prairie Nursery in Wisconsin called it the Aster Disaster. Not to bore you with the minutiae of name changes of plants, suffice it to say: in 1994, it was determined that the asters of the New World (ours) are different from the asters across the oceans. 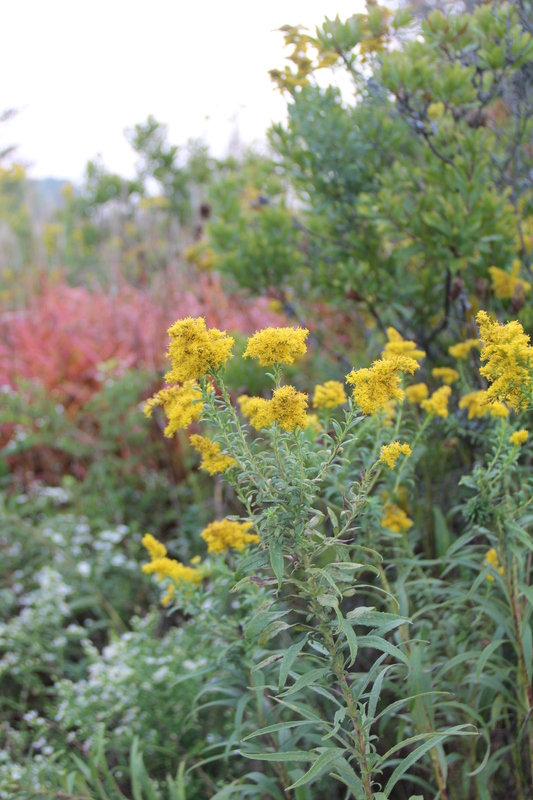 The New World asters were found to be more closely related to goldenrod (Solidago), fleabanes (Erigeron) and boltonia (Boltonia) than the species in the genus Aster. Thus began a series of name changes that are accepted by most, but not all, in botanical and horticultural communities. We are adjusting to this name change in the horticultural and landscape worlds, but not without some angst. You are now seeing the newer genus names in the magazine articles you are reading and on the tags that accompany the asters you are buying. 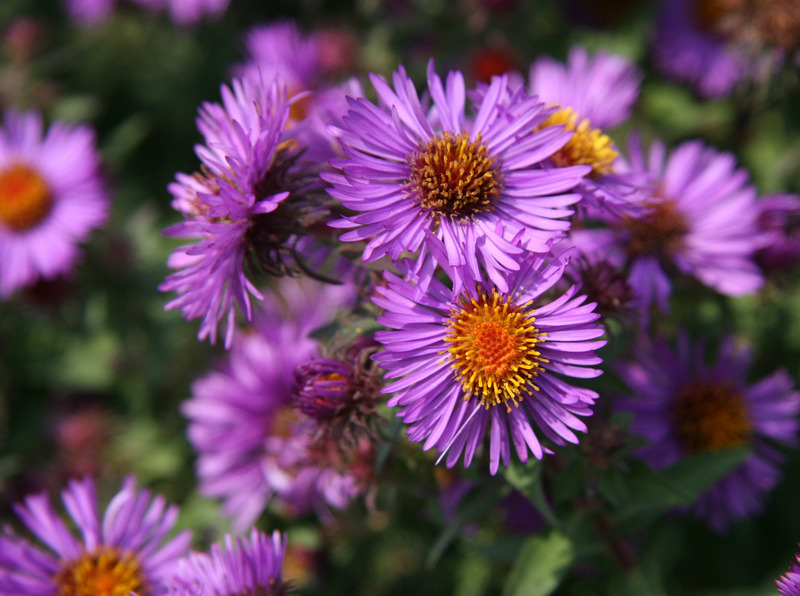 The majority of the asters that we encounter in print and in the garden center are now in the genus Symphyotrichum – aster was so much easier to spell! – with a few in Eurybia. Will the common name change? Probably not. To quote William Shakespeare: “A rose by any other name would smell as sweet”. The past-tense season is here. More plants in my garden are past their prime than coming into it. The future also brings the golden grandeur of ancient sugar maples on the front lawn. They are but one dab on the autumn palette of tree and shrub color. Breathtaking autumn is the finale of growing season, which is always too short and delicious for me to release without a sigh or two. When winter becomes the present tense we enter the hospital-waiting-room of seasons — time stands still (maybe runs backward), as the gray gloom plods imperceptibly toward spring. Shudder as we might at that thought, gardeners spend little time looking over shoulders, being wistful about what was. Why? Garden is both verb and noun. This makes gardeners action people, busy in the present with an eye toward the future. We rarely stop considering ways to make our little Edens more beautiful. This will ensure the present tense, whatever the season, is lovely. We deliberately cultivate signs of hope in the garden. Where there is hope there is life. 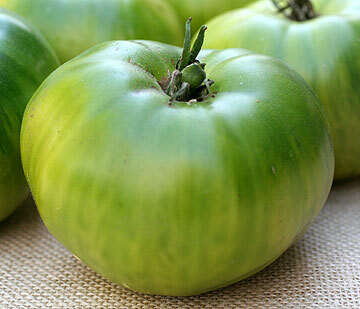 When is a green tomato ripe? Thanks to Master Gardener intern and nutritionist Shirley Kindrick I now know when to pick a Green Giant and other non-red heirloom tomatoes. She says to start by knowing if the tomato plants are early, mid-season or later ripeners. Another clue is to check the “days to maturity”. For example, on the back of the seed packet for the classic Brandywine – a late-season heirloom tomato, the “days to maturity” is 90 days. So, if the tomato plant is planted on May 15, the harvest date would likely be August 15. Shirley also advises to know the tomato’s color when ripe. Finally, she says to feel the tomatoes, and pick them when they are a little soft to the touch. They ripen from the inside out. 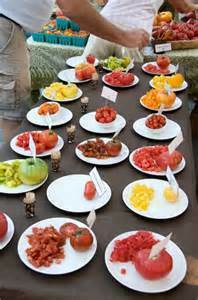 Shirley closed her presentation with a tasting of several heirloom varieties. Our favorites included Anna’s Noire, Aunt Ruby’s German Green, Green Giant and Valencia. I recently toured a 7-acre flower farm eager to photograph fields of flowers and hear the back story of the young couple that runs the urban Columbus farm but was surprised to also walk away with lessons on the economics of flower farming and many ideas that could transfer to my own backyard. After each growing season, Steve and Gretel Adams, owners of Sunny Meadows Flower Farm, carefully evaluate their mix of flower crops. They pour over detailed logs and ask essential questions. Is it worth it to continue to battle the powdery mildew on their beloved sunflowers given the amount of land, labor and cooler space they require? Should they plant more specialty flowers like dahlias and lisianthus that command higher priced tickets? 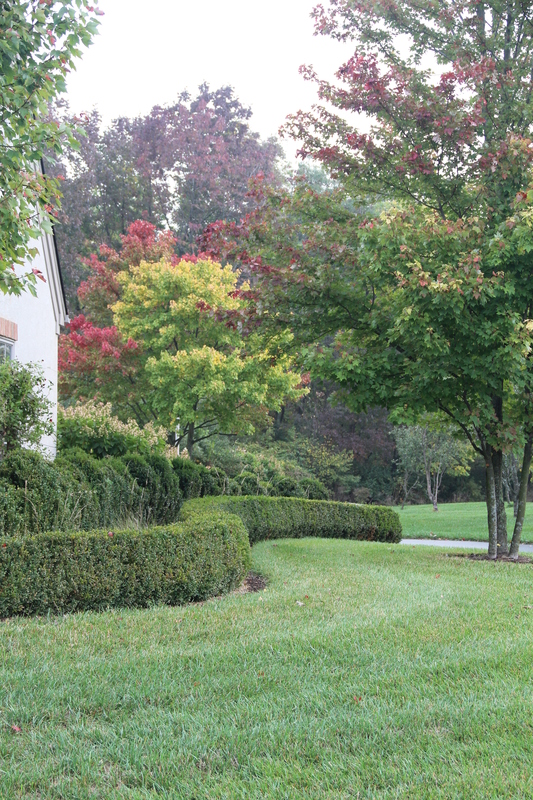 Are there ways to make the newly planted woody ornamentals more productive? Inspired, I’ve committed to make a closer study of what’s growing in my own backyard by photographing and better recording the types of seeds and plants, planting times, bloom times, fertilizers, pest management techniques, pruning demands and weather conditions. Call me a heart-less economist now, but look out time-sucking, resource-draining plants! If there’s no return on investment — stunning blooms, continuous flowers, beautiful foliage, sentimental ties or tasty fruits, you’re gone, especially if you’re stealing valuable real estate and resources from the star-performers in our garden. Roses are back! No way, you might say. But it’s true. Many newer roses are distinctly low-care, high-performance plants that are erasing the dreadful popular image of chemically dependent divas. 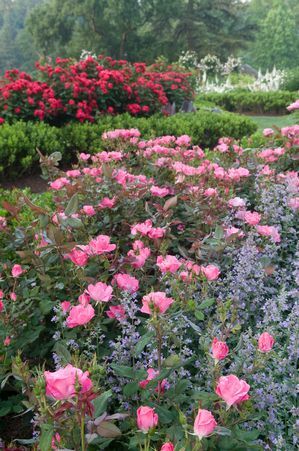 Little wonder that Knock Out roses are some of the best-selling shrubs in America. Given the challenges of Midwestern growing conditions it shouldn’t be surprising that developers of two lines of these super tough roses come from our part of the world. Griffith Buck taught at Iowa State University and developed more than 85 roses, while he was there. His plants are noted for their free-flowering habit, disease resistance and sub-zero winter hardiness, according to Iowa State University Extension. William Radler, breeder of the Knock Out rose family, started growing roses at the age of 9. At 17 he became a charter member of Milwaukee’s North Shore Rose Society and won lots of blue ribbons from the 200 roses he grew. His breeding efforts were inspired by the amount of work it took. He used 18 different sprays to prevent disease and pests. “I wanted to breed the maintenance out of roses so I wouldn’t have to cut back as the years passed,” he says in an article at the Conard-Pyle website. Now some of their plants are being evaluated in Columbus for inclusion as Earth-Kind roses, plants that need virtually no care once established. For more, please read Michael’s article in Columbus Monthly. Earth-Kind roses are going global. To see the extent of Earth-Kind trial gardens, please visit http://aggie-horticulture.tamu.edu/earthkindroses/field-trials/trial-gardens/. Only Minnesota and Wisconsin are Heartland states without an Earth-Kind garden, according to the map at the Texas A&M Agrilife Extension site. Texas is where the testing program started, but the idea is too big even for the enormous Lone Star State. Now Bermuda, Canada, India and New Zealand have test gardens. Who says roses have to be pampered?